How to enable field multiplier with URL validation? 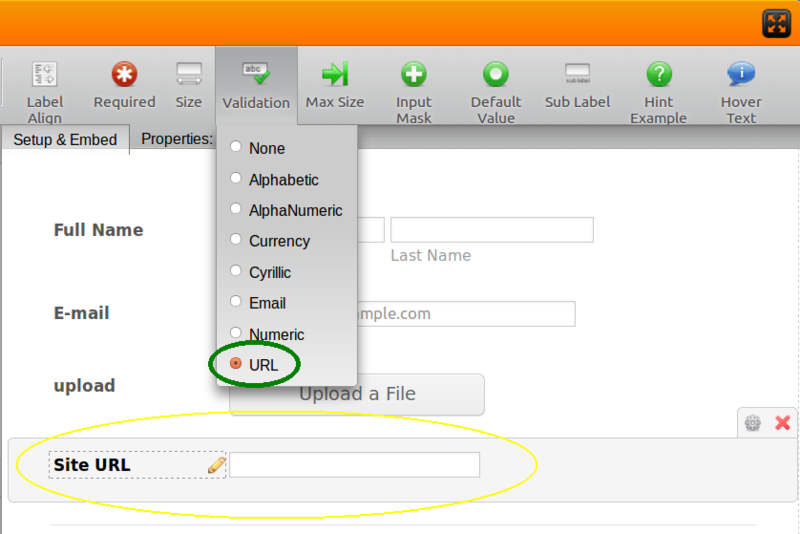 I want to add a list multiplier that allows users to add numerous URLs. I looked at the different widgets but none of them give me the option to validate that entries are URLs only. You can add a Text box and then set the URL validation, you can even set a hit such as "http://www.yourdomain.com"
Thank you, but how can I also allow them to add additional URL values (field multiplier option)? You will have to use our dynamic field widgets such as this one: http://widgets.jotform.com/widget/dynamic_textbox because it's currently not possible in the basic text box field. Unfortunately, validation is not possible in this widget.